Athlete’s Foot or Tinea Pecauses uncontrollable itching and burning between and around the toes. Symptoms of athlete’s foot include cracked skin and thick, distorted and discoloured toe nails. The fungus that causes athlete’s foot thrives in a warm and damp environment. Although, most cases of athlete’s foot are not serious but it is highly contagious and difficult to cure. However, there are a number of remedies using natural ingredients such as vinegar that can treat the infection successfully and prevent it from recurring. Is Vinegar Useful for Treating Athlete’s Foot? The natural anti-microbial properties of vinegar help to cure infections when it is applied topically to the affected area. The acetic, lactic, ascorbic, citric, malic, propionic, succinic, and tartaric acids present in vinegar penetrate into the cell membranes and kill bacteria or fungi causing infection. Mother element present in unprocessed and unfiltered vinegar speeds up the healing process, reduces inflammation and prevents it from spreading further. 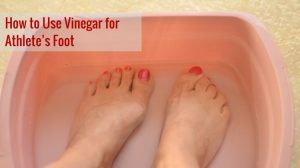 How to Use Vinegar for Athlete’s Foot? Below are the various methods using vinegar for treating Athlete’s foot. You can try any one of them as per your convenience. The below process makes an amazing foot soak which helps to treat the infection and release the stress in the foot muscles. Add 1 part of vinegar and 2 parts of lukewarm water in a pan. Soak your feet in this mixture for 15 to 20 minutes. Repeat this process 1 to 2 times a day till the infection heals. Note – You can also add a few drops of essential oil into the foot soak to mask the strong smell of the vinegar. This process includes applying vinegar directly to the affected areas. If you have sensitive skin, then avoid trying this process as it causes irritation and burning sensation. Take a tablespoon of vinegar in a bowl. Dip a cotton ball into it and use it to wipe your feet. Don’t forget to wipe in between your toes. Let the vinegar dry on its own. Reapply this remedy at least 2 times in a day for few weeks. Tannic acid present in tea has powerful astringent properties that help to dry out the infection and kill the fungi causing infection. Soak 5 to 6 tea bags in this water for 10 minutes. Remove the tea bags and add a cup of vinegar to it. Soak your feet in this solution for 30 minutes. Follow this process at least once daily for a couple of weeks. Epsom salt acts as a drying agent to remove excess moisture from the feet. This creates inhospitable condition for the fungus to survive. Into a pot of warm water, add generous amount of Epsom salt and 1 cup of vinegar. Give it a stir and soak your feet for 30 minutes. Repeat this foot soak twice a day until the infection clears. Compound Ajoene present in garlic kills fungus causing athlete’s foot. The antibiotic properties of Allicin speed up the healing of infection. Take 5 to 6 garlic cloves and crush them to form a smooth paste. Add a tablespoon of vinegar to it and mix well. Apply this salve over the affected areas of the feet. Leave it on for 30 minutes and wash off with water. Reapply this remedy twice a day for a couple of weeks. The antifungal and antibacterial properties of cinnamon help to treat fungal infections and prevent it from spreading to other parts of the body. Add 8 – 10 cinnamon sticks to 2 cups of boiling water. Let the water cool down to warm temperature. Strain and add a cup of vinegar into it. Soak a cotton pad in this solution and use it to wipe your feet. Repeat this remedy at least 2 times in a day. The powerful anti-fungal properties of tea tree essential oil help to clear up infection and prevent it from spreading to unaffected areas. It works effectively in treating severe infections. Take 1/2 cup each of vinegar and water in a bowl. Add 10 to 15 drops of tea tree oil into it. Dip a cotton ball in the solution and place it over the affected areas of the feet. Follow this process 2 times a day for a few weeks. The anti-inflammatory properties of aloe vera gels soothe the skin inflammation, irritation, burning and pain associated with athlete’s foot. It also contains a specific type of protein that prevents the fungal infection from spreading. Add some vinegar to it and mix well to form a thick ointment. Apply it over the affected areas and leave it on for 1 hour. Follow this remedy at least once every day for a couple of weeks. The antifungal and anti-inflammatory properties of oregano treat athlete’s foot and nail fungus. It also speeds up the healing process. Boil 4 ounces of oregano leaves in enough water to cover your feet. Add a cup of vinegar to it and soak your feet in this mixture for 15 to 20 minutes. Repeat this process 2 to 3 times in a day till the infection is healed. Note – There is no need to make fresh tea for each soak, you can reuse the same tea throughout the day, but it is recommended to make fresh tea each day. The highly acidic nature of lemon juice kills the fungi and prevents the infection from spreading. It also controls the repulsive smell associated with athlete’s foot. Add 1/2 cup of fresh lemon juice and 1 cup of vinegar to a small bucket of lukewarm water. Soak your feet in this water for 20 minutes. Repeat this process 2 times in a day till the infection heals completely. The powerful antiseptic and anti-fungal properties of lavender fight the fungus causing infection and prevent it from spreading to other areas of the foot. Take a pot of warm water and add a cup of vinegar to it. Add 20 drops of lavender essential oil to the water. Soak your feet for 30 minutes and dry with a towel. Repeat this foot soak at least once in a day for few weeks. When selecting vinegar for health purposes, always choose organic, unfiltered and unprocessed vinegar which has a mother element in it. Undiluted vinegar is highly acidic in nature and it can cause skin irritation in people with highly sensitive skin. Always wear clean and well-ventilated footwear to prevent your feet from becoming sweaty. Rub baking soda all over your feet and sprinkle it in your socks and shoes to soak up excess moisture. Never share shoes, slippers, socks or towels at gym or swimming pool. Don’t walk barefoot in gym locker rooms, near public baths and swimming pools. Get relief from the athlete’s foot naturally with remedies mentioned above. 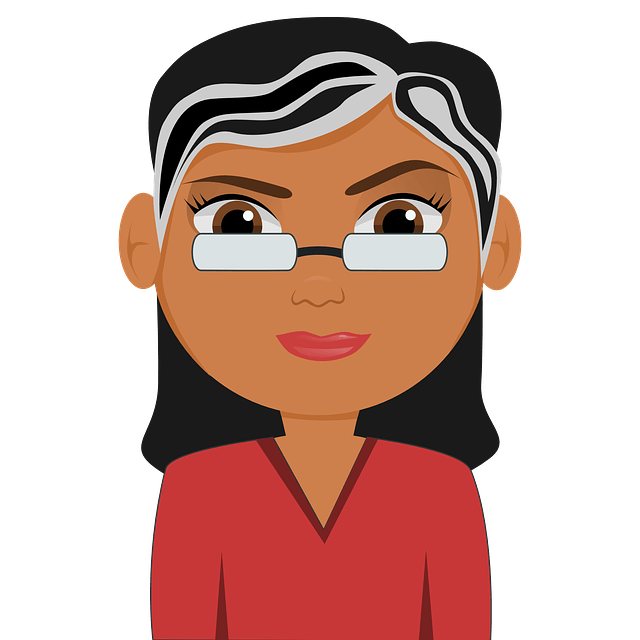 Don’t forget to share your tips and experience with us in the comments section below. Do you know what makes Athletes Foot itch? Althletes Foot is a common fungal infection caused by trichophyton fungus which makes the skin itch, scale and peel. Can you reuse the vinegar mix, or is it possible to put it in a bottle and reuse it a few times?